Over the years Poynter Landscape has become known in St. Louis for being the best provider for large residential landscape projects and we have heard may times over that people feel like their project may be too small to interest us. This couldn’t be further from the truth! In fact, we love to do small projects and have staff that is dedicated to the goal of being great at providing small projects for our clients. In the landscape industry small projects are sometimes referred to as “enhancements” and can be a range of services. 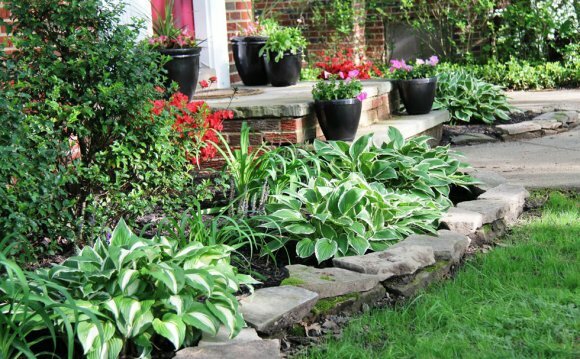 Giving your curb appeal a face-lift with some additional plantings would be an example of a way we can enhance your landscape. Pruning, mulching and edging is a good choice for anyone who wants to freshen up a landscape that is getting overgrown and tired. Small patios, paths or retaining walls may also fall onto our enhancements or small projects team, along with basic drainage or lawn renovations. Many times these types of projects are easily estimated and designed which allows the turn-around to be considerably shorter depending on the season. If you have a small project and expect the best possible attention to detail, look no further than Poynter Landscape! We have a qualified landscape designer standing by to provide a quote and get your small project scheduled.